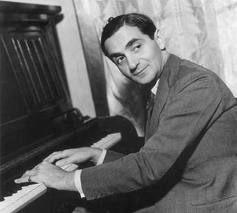 Irving Berlin was born Israel Isidore Baline on May 11, 1888, in Tyumen, Russian Empire. He was one of eight children born to his parents. 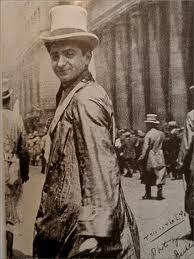 In 1893 his family immigrated and settled in New York City. By the age of eight, he’d quit school and was selling newspapers. While selling papers he would hear the music at the nearby saloons and restaurants. He left home when he was fourteen years old. Needing a way to support himself, he began going to saloons to sing, a skill he’d learned from his father. During this time he gained his musical education from playing in these locales. He also learned the “language of the street.” He learned the songs people enjoyed and became a singing waiter when he was eighteen. During this time he taught himself to play the piano and wrote his first song “Marie From Sunny Italy”. On this first piece of music, his name was misspelled I. Berlin, the name he’d use from thus forth. He soon began collaborating with other writers and by the age of twenty-one was on staff as a lyricist with the Ted Snyder Company. In 1912 he married Dorothy Goetz, but she contracted typhoid fever on their honeymoon in Cuba. Sadly six months after they were married she died. He turned his grief to his music with such songs as “When I Lost You” and “I Love a Piano”. In 1919 his ballad “A Pretty Girl is Like a Melody,” became such a hit that the Ziegfeld Follies adopted the song as their theme. 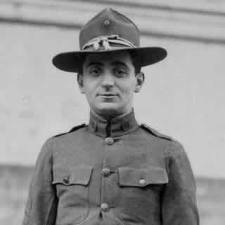 In 1924, songwriter Jerome Kern observed “Irving Berlin has no place in American music. He is American music.” In 1925 he met Ellin MacKay, but her father objected to their relationship. Berlin would not be hindered and wrote the songs “Remember” and “Always” to woo her. The couple married and were inseparable for the sixty-three years of their marriage. They had four children together. “Puttin’ on the Ritz” and “I’ve Got My Love to Keep Me Warm” became some other hits of the next decade. By 1933 he was drawn to the motion pictures. He would write the songs for a number of popular musicals over the coming decades. “God Bless America” was first publicly played in 1938. The phrase “God Bless America” was taken from his own mother. World War II began and Berlin wrote and produced the musical “This is the Army”. The show was taken from Broadway to Washington, DC and later made into a movie. He was able to raise over ten million dollars for the Emergency Relief Fund with his musical. After the war, his attention again turned to the stage and film with productions such as “Annie Get Your Gun “, “Call Me Madam”, and “There’s No Business Like Show Business”. More hit songs also followed including “White Christmas” and “Easter Parade”. The song “There’s No Business Like Show Business” became Ethel Merman’s trademark. “Annie Get Your Gun” was praised for the integration of score, script and character development. Berlin said he wrote most of his songs at night and under pressure. He never learned to play in more than one key and used a custom-made 1940 Weser Brothers piano with a transposing lever to change keys. He would pay a musician to write his music down for him and add the harmonization. 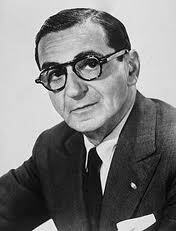 Irving Berlin will always remain the epitome of American music. ← Who Is the Wind Beneath Your Wings?